Looking for the perfect way to celebrate Mother’s Day, Earth Day, or possibly even just a fun way to welcome in the spring and summer weather? 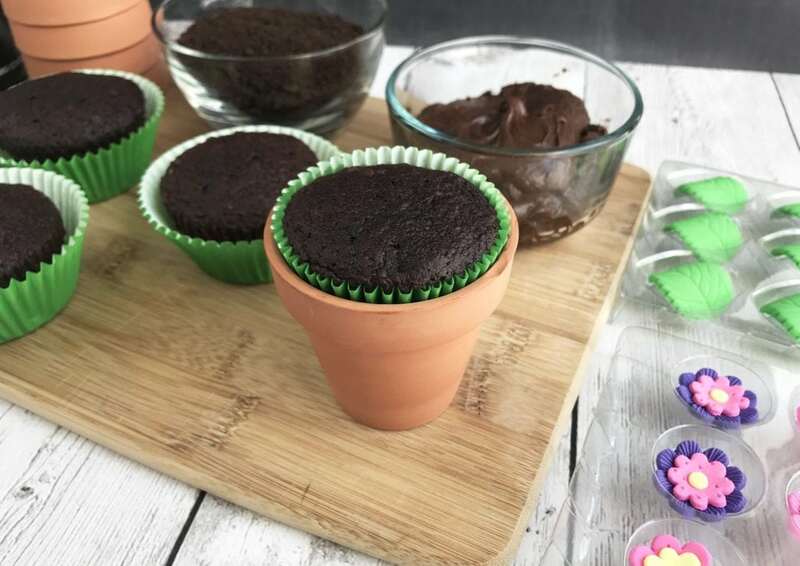 These Chocolate Flower Pot Cupcakes are a must! Not only are they absolutely adorable, they taste great as well. While giving real flowers are a great gift or an awesome way to spruce up your home with that summer feel, those flowers don’t last very long…and can’t be eaten either! 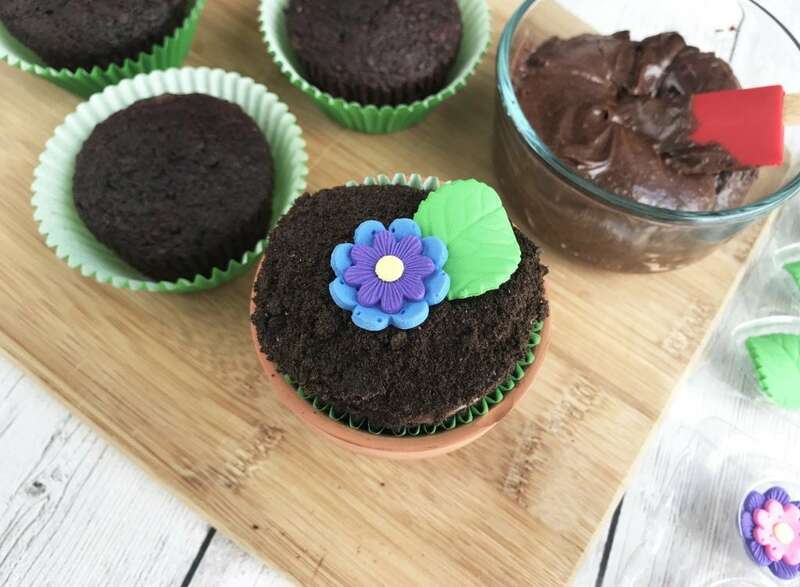 Why not give the gift of beauty and deliciousness with these Chocolate Flower Pot Cupcakes? They are fun to look at, but even more fun to eat! Everything you need to make these adorable edible cupcakes can be purchased on Amazon. As if you needed another reason to give this recipe a try, right? 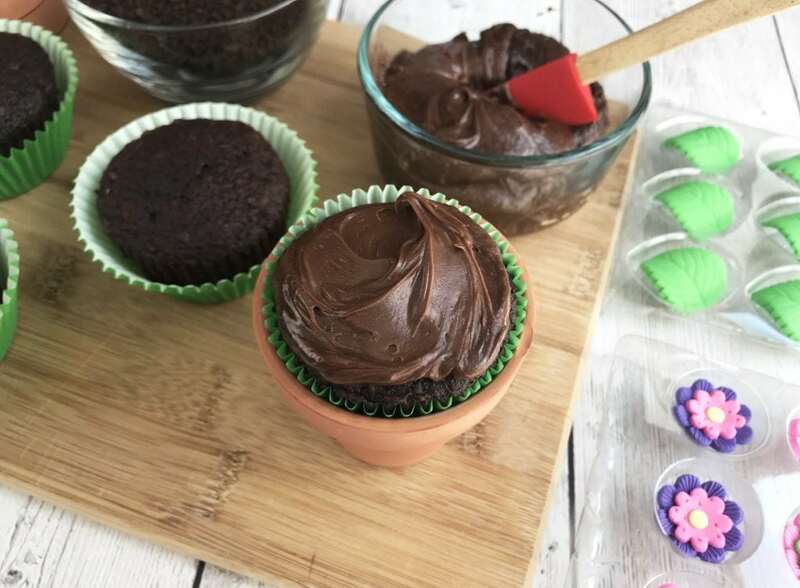 No matter whether you’re making these for a unique Mother’s Day gift, a fun treat to celebrate Earth Day or even just an awesome centerpiece for a summer birthday, these Chocolate Flower PotCupcakes are sure to steal the show. Preheat the oven to 350 degrees and line the mini cupcake tin with cupcake liners. Combine the softened butter, granulated sugar, vanilla extract, milk and eggs mixing well. Slowly fold in the dry ingredients. Fill each cupcake about 2/3 full of batter. Bake 18-20 minutes. Insert a toothpick around 18 minutes, if it comes out ‘dry’ the cupcakes are done. Remove the cupcakes from the oven let cool completely. Scrape the filling from the Oreos and place in a food processor OR put in a large freezer bag and crush using a rolling in. Pour the crushed cookies into a small dish. 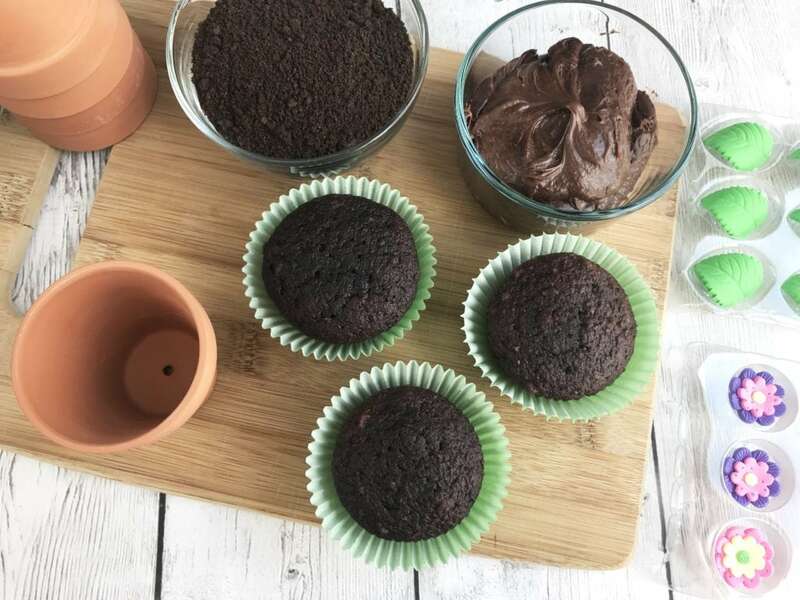 Once the cupcakes have cooled, gently press each cupcake into the small terra cotta pot. Generously frost each cupcake with chocolate frosting. Dip the cupcake upside down in the crushed Oreo cookies. Place a small dab of frosting on the back of the Wilton flower icings and place on the top of the cupcakes. 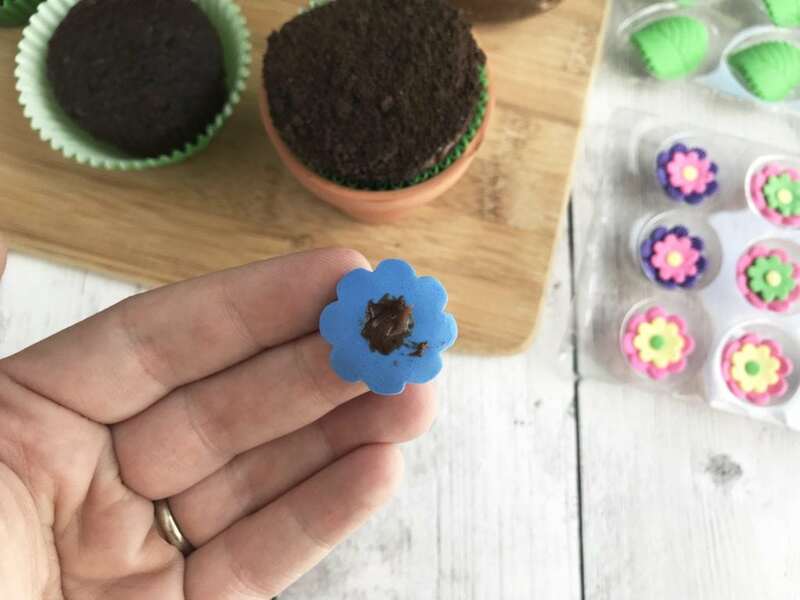 Gently press a Wilton leaf icing into the cupcake next to the flower. Repeat with all cupcakes. Best served with a spoon or a fork. Preheat the oven to 350 degrees and line the mini cupcake tin with cupcake liners. Combine the softened butter, granulated sugar, vanilla extract, milk and eggs mixing well. Fill each cupcake about 2/3 full of batter. Insert a toothpick around 18 minutes, if it comes out 'dry' the cupcakes are done. Remove the cupcakes from the oven let cool completely. Scrape the filling from the Oreos and place in a food processor OR put in a large freezer bag and crush using a rolling in. Pour the crushed cookies into a small dish. 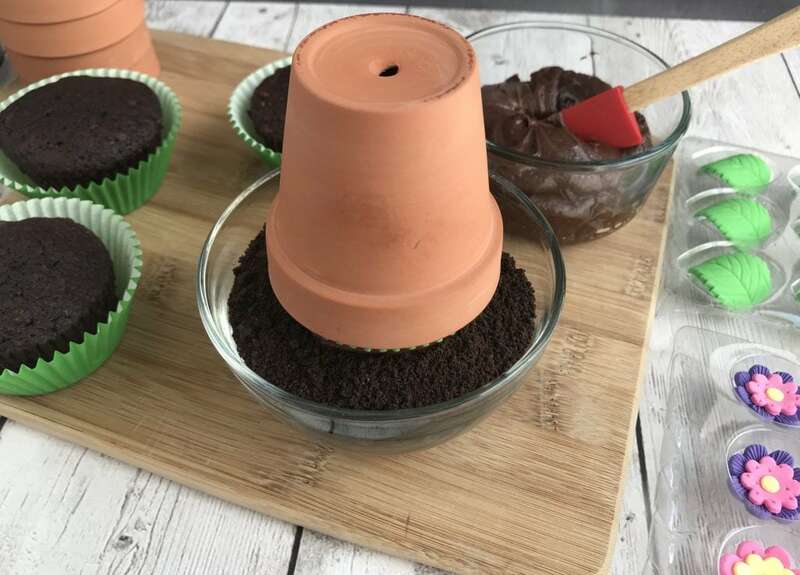 Once the cupcakes have cooled, gently press each cupcake into the small terra cotta pot. Best served with a spoon or a fork.